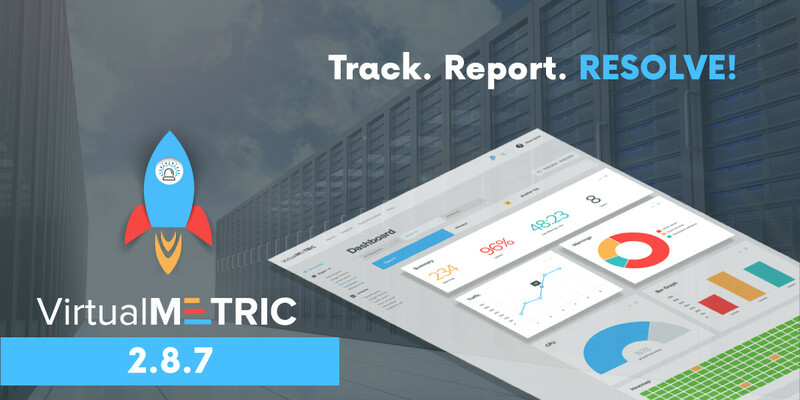 Amsterdam, Netherlands – VirtualMetric, a leading provider of server monitoring and reporting solutions for Hyper-V, Vmware, Microsoft IIS, Microsoft SQL, and bare metal, announced its newest release – 2.8.7. The new release of the market leader in the Hyper-V server monitoring comes with a large list of performance improvements, some new and unique features and great improvements in the usability. All these changes will improve the server monitoring of enterprises all around the world and increase the efficiency of cloud and system engineers globally. The new release of VirtualMetric’s monitoring solution unveils its long-term strategy to provide the most detailed and easy to use monitoring solution on the market. Moreover, the company improves even better the reporting functionalities in the area of its unique competitive advantages – Inventory and Change Tracking. VirtualMetric is a secure real time infrastructure monitoring solution, which enables you to easily manage your software and hardware assets. Our main target is to facilitate the daily work of all system engineers, architects, administrators and IT managers. For that reason er give them a powerful tracking and reporting tool and full control over their infrastructure. We crafted our monitoring solution with the main target to combine many different inventory monitoring stats on a single dashboard. Thus we enable you to track every single change on your environment and troubleshoot easily problems. VirtualMetric is an agentless reporting software for Microsoft Hyper-V, VMware, Microsoft SQL, Microsoft IIS, Bare Metal. It monitors your hosts and clusters to provide you with detailed statistics and sophisticated reports. By using our solution all our customers get complete visibility on all infrastructure processes and environment changes. They achieve this due to VirtualMetric’s pre-configured more than 650 performance counters and detailed inventory scannings.